If you are planning Bhutan travels, do not miss these seven wonders. 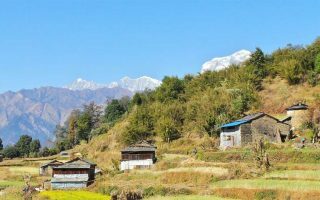 This article provides with insights on seven wonders during Bhutan Travels. Moreover, make sure these wonders are included in your Bhutan travels itinerary. Bhutan an extraordinary and last remaining Himalayan Kingdom, shrouded in mysteries and magic. Furthermore, here a traditional Buddhist country carefully embraces likewise the global development. When writing on Bhutan travels, the first wonder that comes in mind in this majestic fortress hanging on a precarious cliff at 3,120 meters (10,240 ft.), about 900 meters (3,000 ft.) above the Paro valley. This wonder is the most idolized religious sight in the country. As per legend, Guru Rinpoche flew here in a Tigress back to counterattack the demons and then meditated here for 3 months. This beautiful winder soars above Paro Valley amid whispering pine forest. 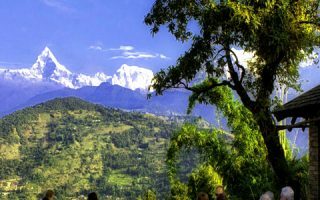 The steep walk to this site is well worthwhile, providing an alluring glimpse of the monastery, view of beautiful Paro Valley and splashes of red-blossom rhododendrons. Paro’s Ripung Dzong (Ripung: “Fortress in a Heap of Jewels”) is an example of colossal example of fortress-like Dzong architecture. The Dzongs seems to glower protectively over the valley and town. Paro Dzong ranks as the highest point of Bhutanese architecture. Furthermore, the Dzong’s massive walls tower over the town and visible throughout the Valley. Formerly, this wonder served as a meeting hall for the National Assembly; currently, it houses both the monastic body and district government offices, including the local court. Many chapels of the Dzong are closed for the tourists. However, this place is worth a visit for its stunning architecture glow. Punakha Dzong is superbly situated between the confluence of two rivers, Mo Chhu (Mother River) and Pa Chhu (Father River). It is arguably the most beautiful Dzong in the country. This Dzong, during spring coupled with lilac-coupled with jacaranda trees, brings a lush sensuality to its walls. Furthermore, this Dzong was the second built in Bhutan and served as the capital and seat of government till the mid-1950s. Moreover, all of the Bhutan Kings have been crowned here. Punakha Dzong is 180 meters long, 72 meters wide, and six storeys high. Furthermore, a golden dome on the top supplements to its attractiveness. Kyichu Lhakhang laying just a short distance from the gateway town of Paro is one of the Bhutan oldest, most idolized, and most beautiful temples. The humming sound of the monks and a spinning prayer wheel makes this wonder a sanctuary. Furthermore, the intimate inner courtyard of this historic chapel contains a painting of King Gesar of Ling, the popular Tibetan warrior-king, whose epic poem is the world’s longest poem. Chimi Lhakhang with its spectacular yellow roof lays en route Punakha, in the center of the valley below Metsina. Women without a child visit this temple to receive the blessing from the saint. Women bring their newborns here and return with either Chimi or Kunley as one of their two names. To reach to this temple, tourist walks for 20- minute across the rugged and muddy field, crossing an orchard. The rows of prayer wheel surround this beautiful Lhakhang with beautiful slate carvings. Lama’s wooden and bone phalluses reward those who make a new offering. Likewise, childless women pray to the fertility goddesses. Thimphu delights visitors with its dazzling museums and cultural attractions. It is the heart and capital of Bhutan. This relative board valley has numerous out-of-town sights. Perfectly positioned monasteries around provide excellent views of the valley. Moreover, there are no traffic signals in the capital of the country. This shows Bhutanese consciousness towards the environment. Likewise, Thimphu has numerous tourist attractions such as Tashi Chhoe Dzong, colorful weekend market, Changangkha Lhakhang, National Textile Museum, National Memorial Chorten, Buddha Dirdenma, Archery ground to name a few. Archery is an exhilarating national sport of Bhutan. Nowhere will you see such a fierce archery competition than in Bhutan. Further, these competitions excite masses throughout the year. Moreover, there are two classes of competition, one for traditional bows, and another for carbon-fiber bows that propel an arrow at astonishing speeds. Although the target seems tiny and distance immense there are few near misses. This archery competition, accompanied by a competitive tease, singing and dancing heat up the crowd. These are the 7 wonders during Bhutan travels that should not be missed.